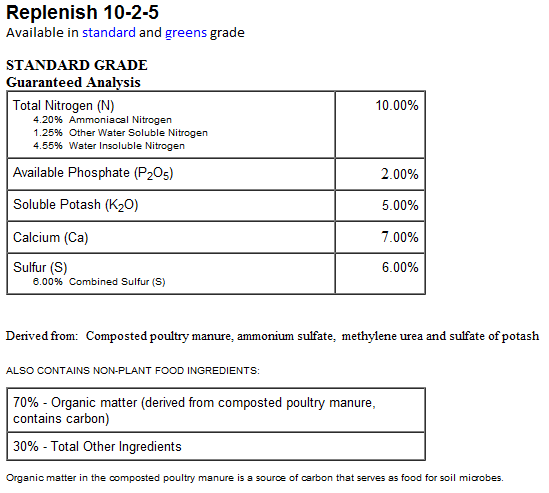 Replenish 10-2-5 is a methylene urea and ammonium sulfate formulated fertilizer. This product is a 50% water insoluble nitrogen (WIN) fertilizer that can provide long term feeding. 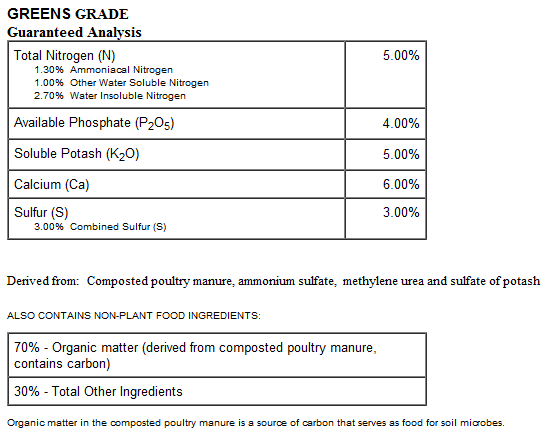 Over half of the product is the OMRI listed organic, Replenish poultry compost which will help keep microbiology active, hold moisture and provide a sustainable nutrient base. 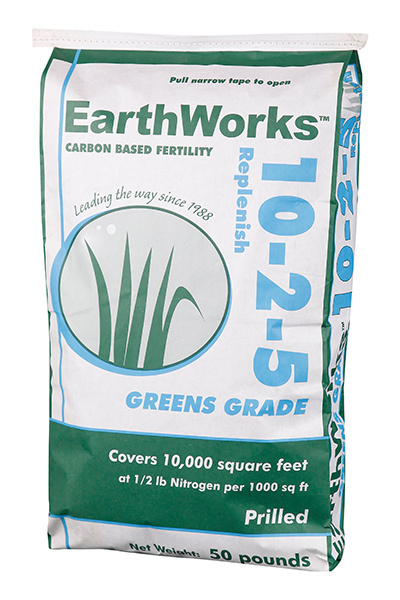 When these synthetic nitrogen sources are added with the EarthWorks Replenish compost, a powerful fertilizer is created that feeds both the soil and the plant. 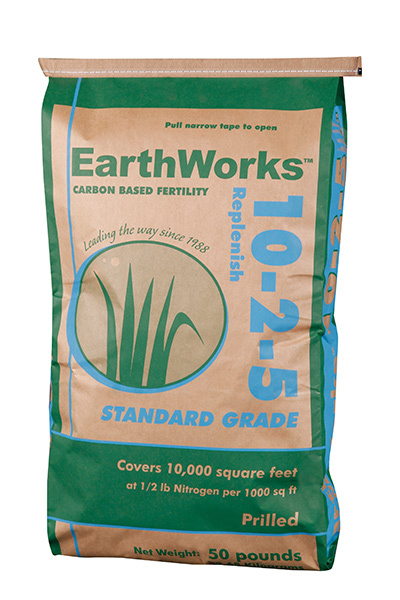 EarthWorks is dedicated to formulating the most agronomically complex products available. We have over 30 years of experience in working with biological soil management programs and building fertilizers for the turf industry. Our fertilizers are designed to maximize the microbial activity of any soil. We start with mineral rich poultry compost from egg laying birds that has gone through two digestion cycles. The by-products of this biological digestion bring with them a host of soil and plant benefits, including increased enzymes, amino acids and, most importantly, minerals. These benefits are not found in most commercial fertilizers. For 1/2 pound of nitrogen per 1000 sq. ft. of turf grass apply 5 pounds of product per 1000 sq. ft.